If we reflect on any one of these areas, deaf children, the family or education, over the period 1960-2010 we are aware of enormous changes. Deaf children now have a different experience, diagnosis is earlier and often at birth, cochlear implants and other technical devices have made access to sound and to spoken language much easier, and they are more likely to be aware of sign language. They will experience different attitudes to their deafness and to deaf people. There is a greater range of family structures and, although a deaf child may live with both parents, many will not. They are less likely to have easy access to grandparents. There is greater mobility of families, and varying financial security. And the education system itself has changed. There are far fewer boarding schools for deaf pupils, and also fewer special schools. A deaf child is now far more likely be educated in an inclusive setting than he or she was in 1960. There is more emphasis on attainment with testing at the end of each stage of education. Because each of the elements has itself been an area of great change, considering overall developments becomes complex. The effect of any change in one of these areas impacts upon the others. However, because education and various aspects of deafness are all dealt with in different parts of this website, the focus here will be on the family. A major support and source of information for families throughout this period has been the National Deaf Children’s Society, and for an account of their activities throughout this time see PA 1 and 2. One of the major events for parents of deaf children is that of diagnosis of the child’s deafness. This is a significant event as the vast majority of deaf children are born to hearing parents who do not expect their child to be deaf. Well, I took her to my doctor when she was 6 months old and he said in his opinion it was impossible to be able to tell, at 6 months. He didn’t think in his opinion there was anything wrong … Well, he banged and all this business and he said some babies don’t turn to sound at six months. He said ‘Bring her back at twelve months’ and we took her back when she was twelve months and they still were not sure. She was two when we first started to get something done about it. (from Gregory 1976, for convenience this quote has been abbreviated). The reaction to the diagnosis of deafness was usually relief – as one mother said ‘I was sheer relieved to know it was not me going mad’. Only one in ten families did not realise their child was deaf until diagnosis (Gregory 1976). Throughout the 1980s and 90s the distraction procedure was revised and strict guidelines brought in so the age of diagnosis was earlier. Increasingly screening in the UK was carried out by Health Visitors, who received training in the procedure as part of their role with families with young children. The records of one Local Authority (Nottingham) following these recommendations suggested that while less than 20% of children were detected in their first year before the new procedure was introduced, over 70% were detected under the new regime (McCormick 1988). However, it was the development of newborn screening which was the major breakthrough where babies are screened as soon as possible after birth, and diagnosis can be in the early months of the child’s life. This procedure was accepted in the year 2000 in the UK and fully implemented by 2006. Some were concerned that screening was too soon, that parents could not cope with this information so soon after birth and it could disrupt the parent child relationship. However, this seemed not to be the case and overall the response has been good. One way of considering deaf children and their families over time is to consider the sources of advice that were available to them. 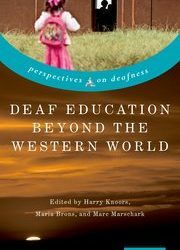 If we start by looking at the literature about deaf children in the 1960s and 70s, the majority is professionally based, and is advice from experts. The Ewing’s book ‘Teaching deaf children to talk’ published in 1964 begins with ‘Spoken Language – some basic facts’ and the illustrations in the book are largely audiograms, graphs and photos of children using speech trainers. Whole chapters are devoted to such elements as ‘Phonation and Vowels’ and ‘Consonants’. Specific suggestions are given on how to encourage children to make the various sounds of speech. The book may have been intended for teachers but this is important as it would inform most of their activities with families. A book by Dale (1967) follows much the same pattern. The Ewings followed this up with a book intended for ‘parents and teachers’ entitled ‘Hearing-impaired children under five’ (1971). Although this is largely focussed on case studies and usefully points out that different children need different approaches, it is very prescriptive as to how parents should speak to children, how to get their attention, and what sort of sentences to use, with an emphasis on repetition. While it would be easy to criticise the Ewing’s approach, this would be inappropriate. The Ewings were tireless campaigners for deaf children and, moreover, much of their approach was based on psychological studies of normal language development at that time. There was one particular book which contrasted with the ‘professional’ approach. This was by Freddy Bloom who was president of the NDCS at the time and had a deaf daughter, Ginny. Freddy Bloom was very much on the side of parents and while she was positive in outlook she also admitted that life with a deaf child could be difficult and they could be ‘self-contained, self-willed and self-centred’ (Bloom 1963). 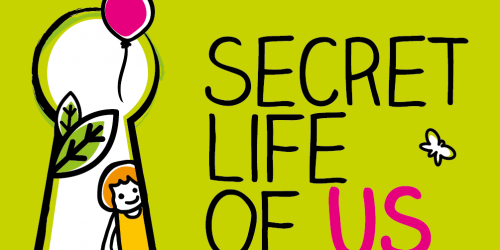 She writes a great deal about families, how too much attention to the deaf child could be damaging to the parents’ relationship and how hearing siblings could make the family dynamics harder but also taught children a great deal about sharing and co-operating – see PA3. In the 1970s there was also a study which focussed specifically on the lives of families with deaf children which was funded by the National Deaf Children’s Society. It was an initiative of Professor Lewis who was Chair of the Lewis Report. (Its full title was ‘The Education of Deaf Children: The Possible Place of Fingerspelling and Signing.) One of its main recommendations had been the need for more research, mostly focussed on the development of communication in deaf children. John and Elizabeth Newson, who were doing novel and interesting work in studies of parents and their children, were asked to support a similar study of deaf children and it was agreed – the researcher appointed was myself. This resulted in the book ‘The deaf child and his family’ (sic) which reports interviews with 122 families about their experiences of having a deaf child – see PA 7 and 13. During the 1980s also, there was a similar pattern with a balance between professional and personal accounts. Books by Nolan and Tucker (1981/88) and Freeman, Carbin and Boese (1981) were from a professional perspective and largely concerned with amplification, hearing aids and language development. Nolan and Tucker begin their book ‘The hearing-impaired child and the family’ with diagrams of the ear and an account of the dynamics of hearing as well as a discussion of causes of deafness. However, there was a contrast between these professional accounts with two very vivid accounts by mothers of deaf children. They describe the impact deafness had on their lives and the decisions they had to make. Both gave very straightforward accounts of the issues they faced and the barriers they met. Lorraine Fletcher’s book ‘A language for Ben’ and Kathy Robinson’s book ‘Children of Silence’ were both published in 1987. Since the 1990s there has been a whole range of books and articles about the experiences of deafness in the family. For example, Knight and Swanwick look at choices made by parents and, in particular, the impact of choosing sign language; others look at deaf children and cochlear implants – see the personal accounts in the section on cochlear implants of this website. Beazley and Moore look at how aspects of attitudes to deaf children can themselves be disabling and discuss ways of ‘Dismantling barriers’. Preschool education A major source of information for parents of deaf children of young deaf children has been peripatetic teachers. Peripatetic services began in 1948 in London and Lancashire but initially they were concerned with deaf children of school age who were not in special schools. Gradually the work extended to children of all ages but the impetus for a comprehensive preschool service came in 1961 with Circular 23/61 issued by the Ministry of Health which stressed the importance of the early care of deaf children. This was really the beginning of a full peripatetic service for preschool children. To provide the context though, I would like to draw attention to a novel by Hilda Lewis published in 1947. It gives a vivid picture of some of the issues in the 1940s and describes a mother’s first meeting with a Teacher of the Deaf when her child was seven years old. Hilda Lewis researched this book very thoroughly and it was later the basis of the film Mandy (see the section of this website on Spoken Language, PA4.) It describes the isolation parents could feel then and the harsh choices they may have had to make – see this section, PA 4. Mothers interviewed in the 1970s (Gregory 1976) appreciated the support from peripatetic teachers and two thirds had a visit from a peripatetic teacher weekly. The workload of these teachers was often demanding – PA 5. The main focus of the teacher was encouraging parents to talk as much as possible to their child, and to encourage play that stimulated communication. However, Kathy Robinson describes how her first contact with a peripatetic teacher left her disheartened about the magnitude of the task (PA 6). For some parents, the advice they received to talk as much as possible to their deaf child was easy to follow, but others found it more difficult (PA7). More controversial was the advice to avoid gesture as much as possible. Communication by gesture was seen as likely to inhibit the development of speech. One third of mothers followed this advice. Mother of boy 4 years old. Mother of boy, 3 years old. Since the 1980s, provision for preschool children has changed in response to changing circumstances and changing needs. Family circumstances are likely to be different such that the model of a teacher doing a home visit in the day is no longer appropriate for the majority of families. A more flexible model has been required to recognise the different circumstances of family life, and the different options for deaf children. The notion of advice has moved from one where the peripatetic teacher is the expert and gives advice to one where the teacher is a facilitator, offering support as appropriate. Deaf children’s needs have changed as equipment and technical support have developed significantly. 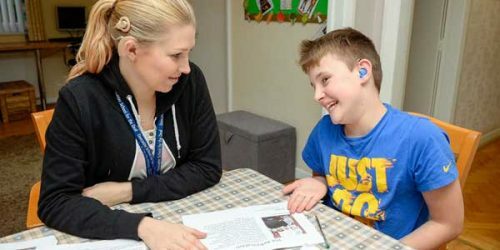 Cochlear implants have demanded more of teachers in terms of knowledge and they can also mean that a teacher of young deaf children may work alongside a member of the cochlear implant team. A greater change has been as a result of newborn screening which demands a greater expertise of teachers now working with infants and very young children. Both cochlear implants and newborn screening have meant that multi-disciplinary teams have become more appropriate to cope with the range of support and advice necessary for the family and the young child. The education system itself has changed resulting in the majority of children being in mainstream, and many young deaf children will attend mainstream nurseries, or playgroups. The location of advice can be the home, but also the hospital, the nursery, the preschool, or a dedicated centre to which preschool children and their families come. At the beginning of the period, in the 1960s, most deaf children were educated at schools for the deaf, some of which were boarding, and children as young as two years could go away to boarding school. This was clearly traumatic for some parents as well as children. All thirteen parents, whose children boarded, interviewed for ‘The deaf child and his family’ had reservations about their child boarding at a young age. It also seemed to reflect an attitude that the schools knew best and children would do better without being upset by going home for short periods. We should remember that this attitude was similar to that for children going into hospital at this time, that parents were advised not to visit or keep visits to a minimum as it could be upsetting for the child. However, the development of units from the 1960s onwards seemed more acceptable to most parents as sometimes it had the added advantage that their children attended their local school, sometimes with siblings. It was also preferable to special schools which were almost always further from home than a unit. This meant it could be difficult for families to find out from their child what they had been doing at school. By 1973 there were more children in units (later more often known as Resource Bases) than in schools for the deaf. The 1981 Education Act, enacted in 1983, brought more issues for families for it recommended that as far as possible all children should be educated in mainstream schools. For many teachers, their role changed as they had responsibility for supporting deaf children in mainstream schools, and working with mainstream teachers. While this was good for some deaf children, parents of others felt they were missing out on daily access to a Teacher of the Deaf. But other things were changing, partly due to the fact that the current ‘oral approach’ did not seem to work for all children and there were suggestions, particularly from the States, that the use of signing could help language development. This came at a time when growing up with two languages was no longer seen as the problem it had been previously, as bilingualism in two spoken languages became more acceptable. In the 80s and 90s signing became more visible in some schools and partially hearing units. However British Sign Language was only developed in a few places, more often the signing used was sign supported English, where the English words were accompanied by signs. What was the parent’s role when their child developed skills in another language or a different way of communicating? But yet another change was on the way, the introduction of better hearing aids, cochlear implants, digital hearing aids and others. It became a possibility that deaf children could access sound in a way that made it easier for them to acquire spoken language. Faced with the different educational settings that arose, parents became aware of different approaches and many worked hard to ensure their child received the education that was best for them: see PA 8, 9 and 10 for the challenges faced by three different families. Throughout this whole period, education was the source of many issues for parents to consider: did their child have the right placement in terms of communication and language? was it so far from home it was difficult to maintain contact? would their child make friends at their mainstream school, be unhappy or maybe even be bullied because they were deaf? For most families one of the main issues with having a deaf son or daughter was communication. The families described earlier who were interviewed in the 1970s (see PA7) were interviewed again in the1990s when their sons and daughters were in their late teens or early 20s. At the first interview, when the sons and daughters were young, two thirds saw communication as the major problem, whereas at the later interview it was half of those interviewed. In fact, prior to 1970, it seems likely that communication in the family could have been a greater problem as very many of the deaf children would have spent much of their formative years at boarding school, and others be at a special day school for the deaf. What were the problems experienced in the families in the 1990s when their children were young adults? Within the family, problems were more likely to occur when there was more than one or two people, and loyalties of parents were stretched when trying to include everyone (see PA 13). The acceptance of sign language introduced another issue for some families. Communication in the family could be difficult, but what did the acceptance of sign language for their child mean for the whole family? Also, such an approach was not easy for all parents, seeming to demand they learnt another language or way of communicating. While some embraced this, others found it too difficult and it could be hard to manage in a family where some could sign and others not. Slesser is concerned with the much-neglected area of the development of relationships between deaf adults and their hearing siblings. Her paper focuses on sibling communication and attitudes and the implications these have for the inclusion of the deaf child within the family (see PA12). It is to be hoped that in the 21st century things are improving. 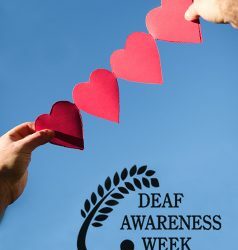 Better hearing aids, cochlear implants, acceptance of sign language could be making a difference for deaf people. Also, changes in attitudes to disabled people, the greater integration of deaf people into society, the greater acceptance of sign language, improved access to information through the internet will be changing the landscape in positive ways.